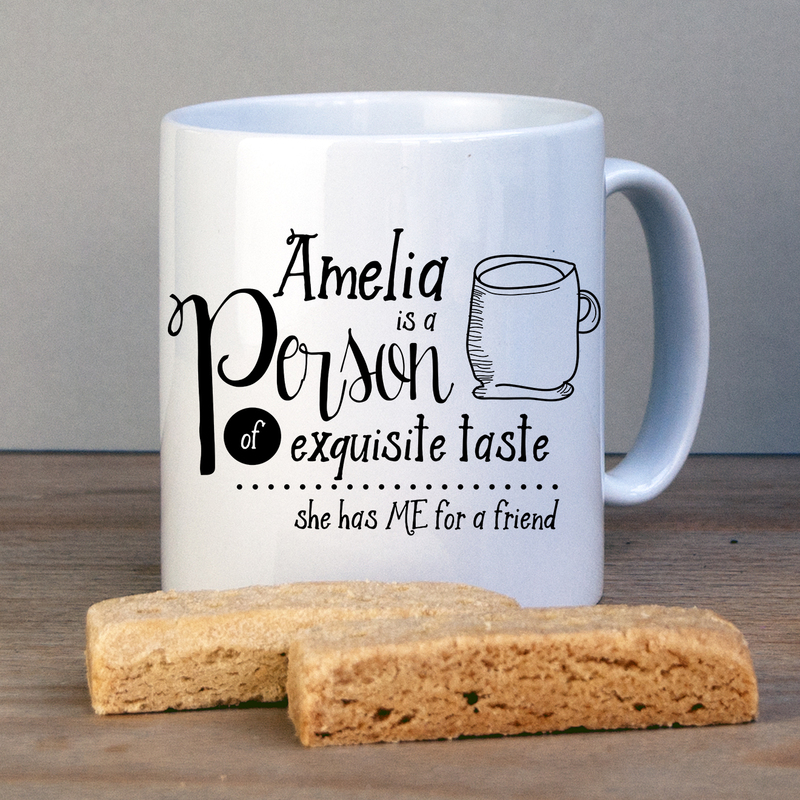 This mug makes a perfect best friend gift - because your best friend has exquisite taste in having you as a friend! This is bound to raise a smile on your best friend's face in having such a cheeky friend. It features your friend's name followed by the words "is a person of exquisite taste...she has me for a friend". You can choose to make this suitable for a man or woman, just let me know on the order form.